One thing that I love doing is genealogy and family history. As part of that I volunteer as an indexer, indexing the vast amount of historical records amassed by the Church of Jesus Christ of Latter-day Saints (the Mormons). Yes, I’m a Mormon. The records they’ve collected are amazing but sadly not as helpful without being searchable. So people all over the world work on this together using a Java-based app. 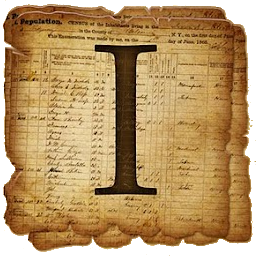 Once indices are complete, the data and images are published on familysearch.org and are freely available to be searched. It’s amazing! Anyway, I’m happy to say that their webapp auto-detects my platform and offers a shell-script installer for download. After downloading, and before the installer would work on my 64-bit OS, I had to install the ia32-libs package. Now again- their app icon is… small. Only 48×48. Basically, it doesn’t ever look good- in any OS. As a stopgap, I found a large version of their mobile app (iOS and Android!) and did a short bit of editing. I didn’t put a ton of time into it- I want to get to indexing! That will take the place of the one included by default. Of course you can use a different filename and modify the FamilySearch Indexing.desktop file instead.